Ever since I came across this picture of Vogue's Meredith Melling Burke wearing faded wide-leg jeans, I've been on the hunt for the perfect pair. Eureka! And they are on sale for $82! I'm curious as to what other jean silhouettes you are seeing for 2013. I'm not all that crazy about the skinnies, but they still look the freshest to my eye. 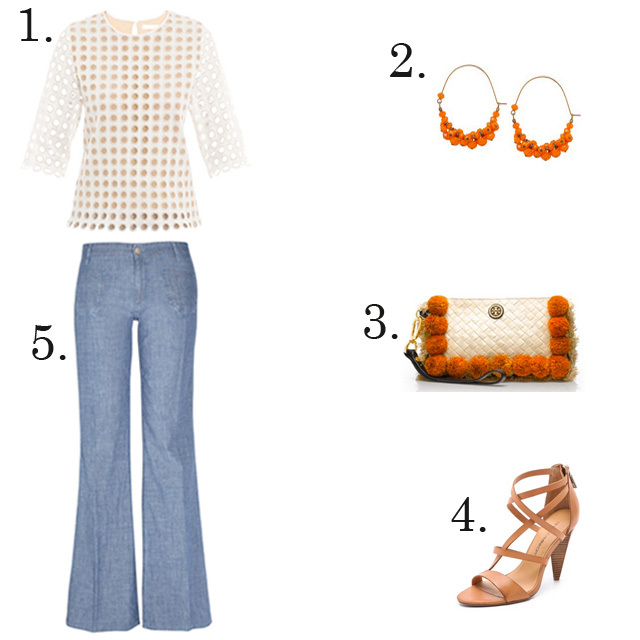 Wide legs and flares - even though they are better for my body type - just aren't wowing me right now. Maybe I'll get more used to them as the year goes on! Definitely going to get myself a similar pair! Finally got a chance to take a look, and I have to say, I love that look. That Jenna Lyons is pretty fabulous (almost as fabulous as you!). Thanks much.